(KPL) Officials from the U.S. government and the Lao Ministry of Justice on Nov 2 launched a smart phone application that aims to digitally facilitate the country’s economic development and rule of law in Vientiane. U.S. Deputy Chief of Mission Colin Crosby joined Vice Minister of Justice Seumsouk Simphavong and more than 70 Lao government officials in launching a new version of the “Lao Law App.” This high-tech mobile phone application will help investors and entrepreneurs to more quickly access and understand the rules and laws that regulate business. 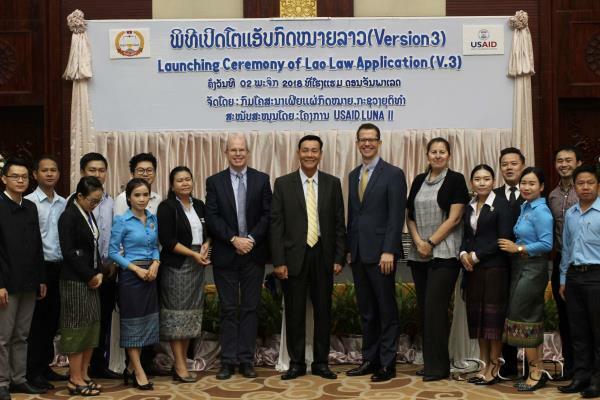 The Lao Law App was developed with U.S. government funding with the cooperation of Lao government partners. It contains all the laws and regulations that are found on the Ministry of Justice’s Electronic Official Gazette (EOG), offering investors, entrepreneurs, and the general public an even more accessible and user-friendly platform for learning about and providing feedback on legislation. 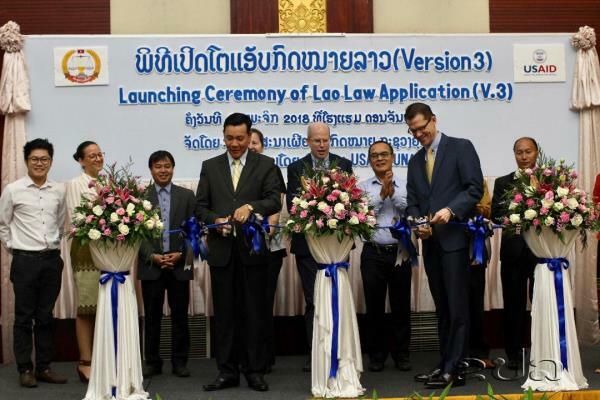 What sets the Lao Law App apart as an innovation is that it allows users to search, read, and comment on existing and draft Lao laws and regulations. U.S. funding for the programme went through the USAID LUNA II project, a five-year activity designed to help the Lao government further integrate the country into the global economy by supporting official efforts to develop and implement modern, transparent, and inclusive economic policies and regulations at international standards. The Lao Law App is available for download on the App Store and Google Play Store.